Home Arts	Off with her head! And let them eat cake! Off with her head! And let them eat cake! A techie and costume designer’s dream, Mary Stuart brings to life the historical struggle between Queen Elizabeth I and Mary, Queen of Scots. The multimedia-filled show ran at the Salle Jean-Valcourt du Conservatoire from Oct. 21 to 30, and featured a number of Concordia grads, including Alex Petrachuk and Curtis Legault. A production by the Obra anaïs: performance ensemble, the play featured solid character development as well as captivating music and interesting staging choices. The set was versatile, with chains and sheer pieces of fabric hanging from the ceiling along the back of the stage. Above them was a screen onto which images and videos were projected throughout the play. The curtains created a transparent hallway for characters to walk through, and could also be tied into slip knots to create different silhouettes for different settings. The black and white colour scheme of both the costumes and sets played well with the lighting. The characters would step in and out of the light depending on whether they were lying or telling the truth. A definite highlight was the standout performance by Alex Petrachuk, who played Queen Elizabeth I. Her character engaged the audience with her inner turmoil about signing the death warrant of her cousin and royal counterpart, Mary Stuart. Both queens exuded power, but Petrachuk also gave her queen a more human and compassionate element that the audience could relate to. She made me, as an audience member, feel both angry about her spoiled attitude, yet sorry for her, as she was trapped in her role as a monarch. The music included renaissance choral singing alongside a more contemporary drag performance, which added an updated feel to the Brechtian show. The sound design was done by Vanessa Zaurrini, who mixed together sounds and songs, from Madonna to metal, in an electroacoustic style. The music tied in with many of the staging ideas and created intensity in many of the scenes. However, even though this version of the play was obviously a more contemporary take, some of the music, specifically the more modern and metal songs, seemed unnecessary and didn’t really add anything to the performance. The case was the same for a number of the theatrical choices. For example, actor Megan Schroeder seemed to play both Lady Kennedy and the embodiment of Mary Stuart’s inner thoughts. This was just as confusing as it sounds. During a few of Mary Stuart’s monologues, Schroeder would move in out of the curtains in the background, sometimes spinning or crawling or even brandishing an invisible sword. While I can see the idea behind the choice—to show how Mary Stuart was actually feeling inside, despite appearing strong to the outside world—it was both distracting and confusing—especially since Schroeder was playing another character the rest of the time. Had a different actor played the “inner Mary Stuart” and been present in every scene, the idea may have come across better. 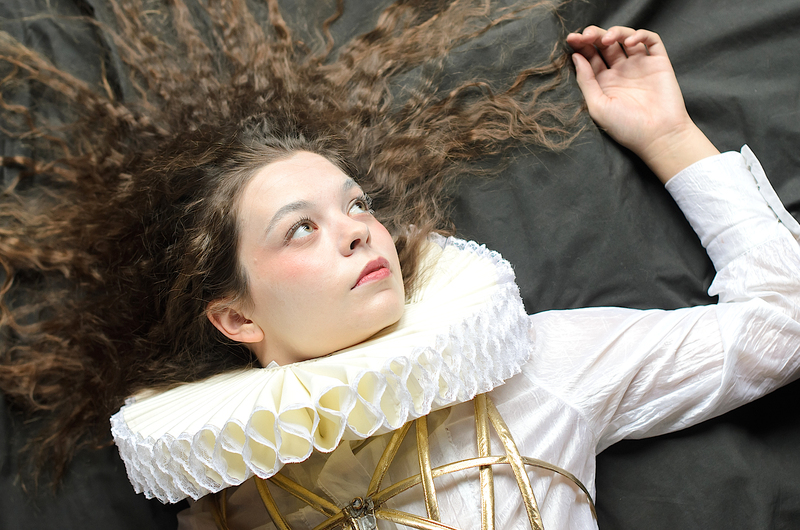 A well-acted and visually appealing play, Mary Stuart is not for anyone with a short attention span. The play ran close to three hours, with only a 10 minute intermission, and while that length is normal for most Brechtian plays, it definitely felt very long. To find out more about Obra anaïs: performance ensemble, check out their Facebook page.